Ooh I have a lugz product and I gotta say, I recommend them! They are very comfortable! At least my boot is! I can't wait to try one of their running sneakers! 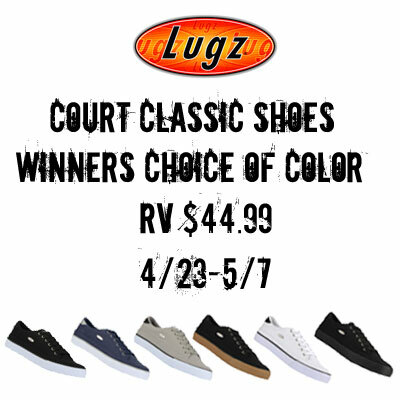 Enter below for your chance to experience the lugz! A tried and true classic, the Court classic low-top canvas sneaker is a sure way to stay stylish. This sneaker features cotton drill lining, rubber outsole and a cushioned insole for added comfort. I'd like to get my daughter the pink Lugz boots. I know she'd love them. I really like the white and black court classics.